VB Insight’s new research on analytics shows that brands plan to increase their spending on the category by a whopping 73 percent over the next 3 years. For big market cap B2C companies, it’s closer to a 100 percent increase. The trouble is most marketing organizations are lukewarm on both how good their own insights are and how good their business partners are at making their insights actionable. This webinar will cover how top marketers are using marketing data to their advantage and driving huge value with data. 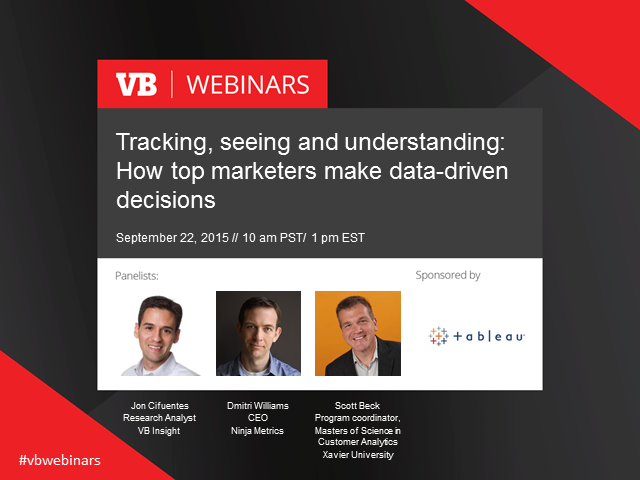 This webinar will be based on Jon Cifuentes' VB Insight report, published August 21, 2015.